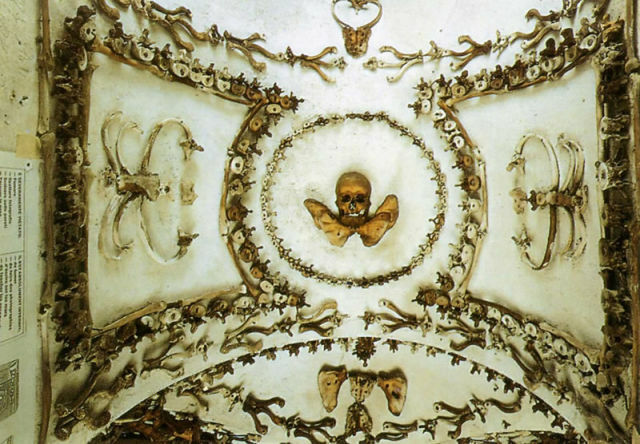 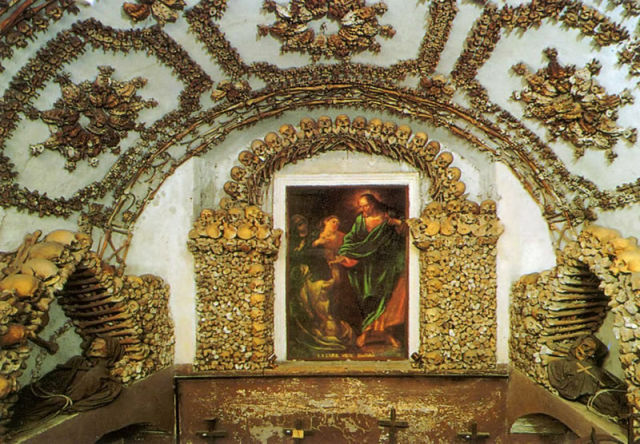 There is a creepy crypt under a church in Rome that has two names, Our Lady of the Conception of the Capuchins and Santa Maria della Concezione. 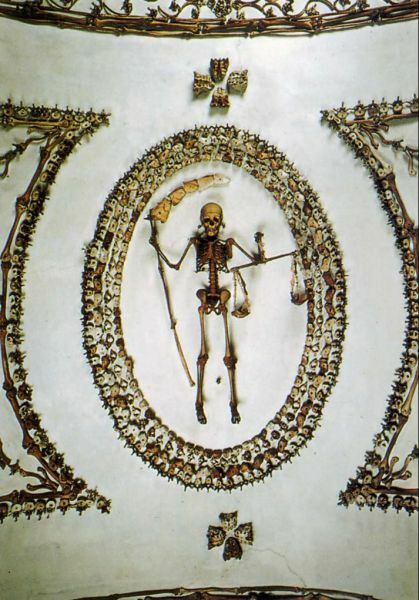 This church’s designer was Antonio Casoni. 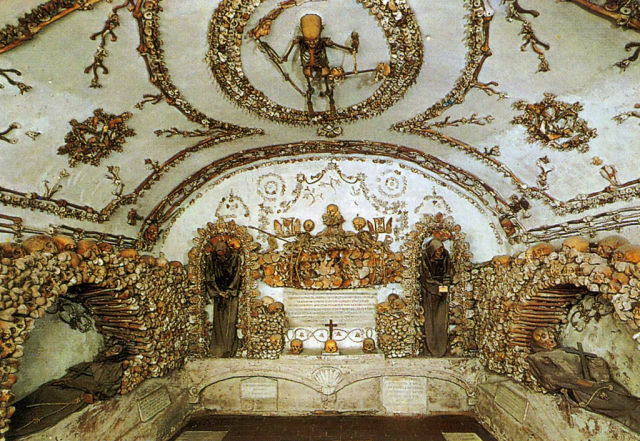 The crypt is decorated with skeletal remains that once belonged to 4,000 friars and were collected between 1528 and 1870. 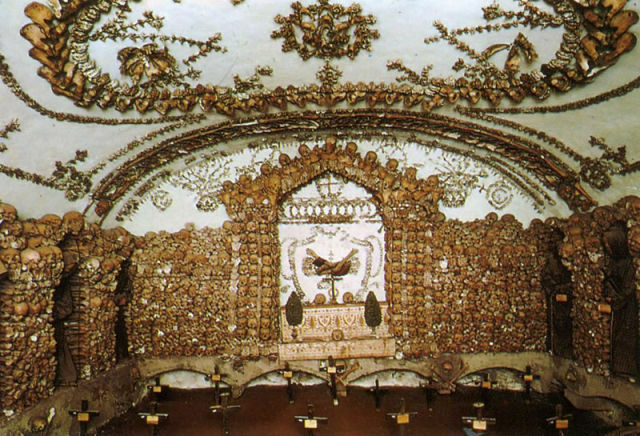 Now these human bones are arranged in ornaments. 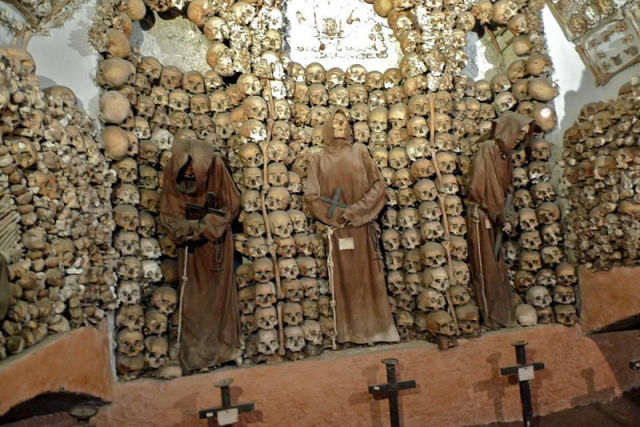 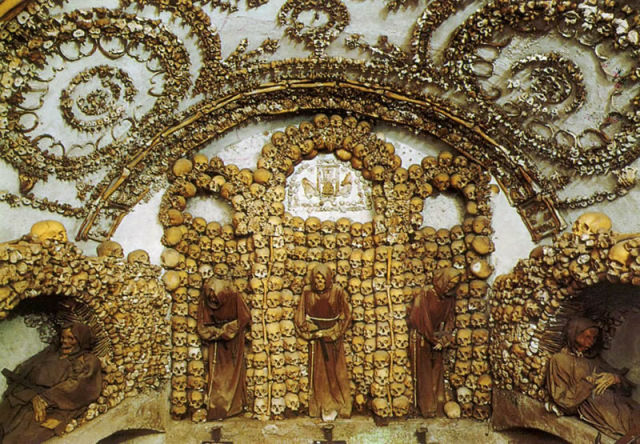 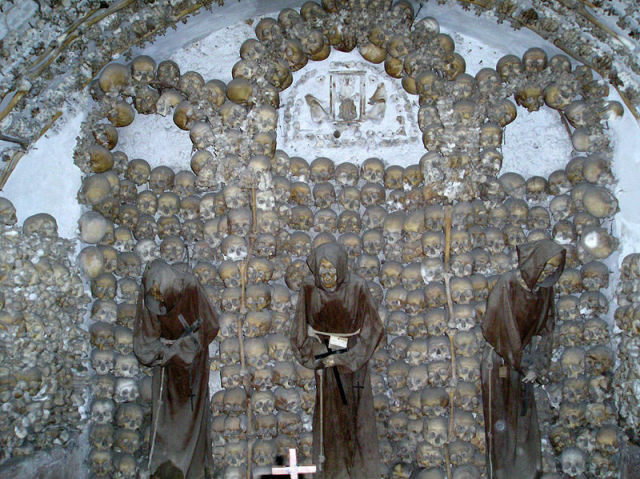 This Capuchin Crypt is a well-known ossuary that attracts tourists from all over the world. 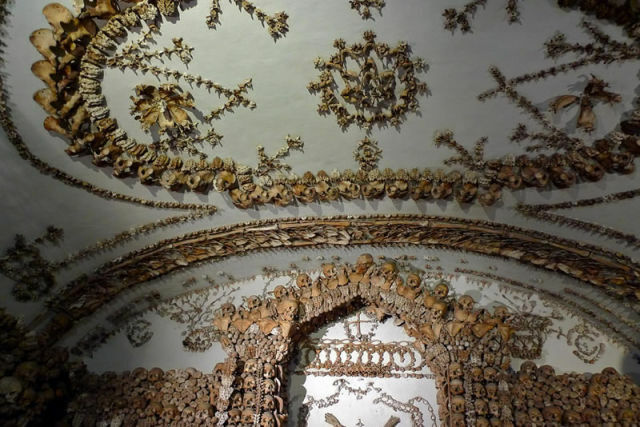 It has several rooms, and you can glance inside them after the jump. 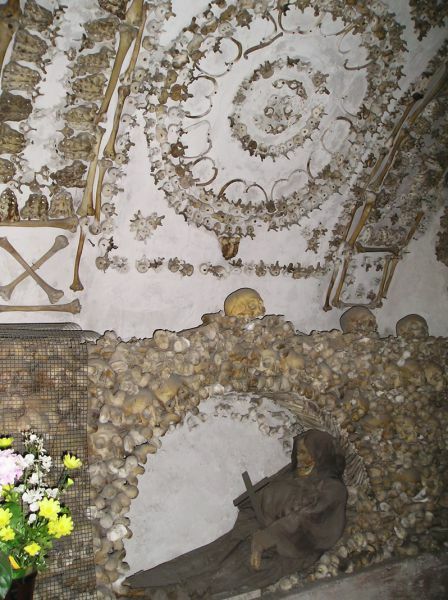 This isn't the only place in the world 'decorated' with human bones. 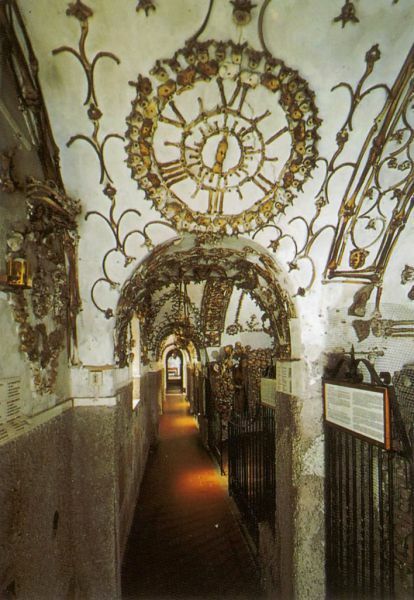 In Poland there is Kaplica Czaszek in small city called Czermna,near Kudowa Zdrój. 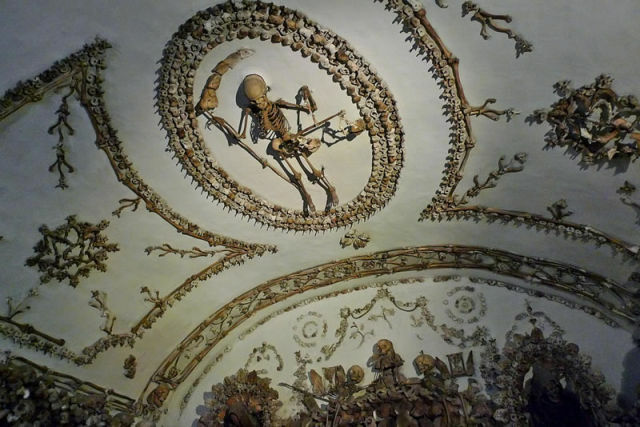 And in Czech Republic in Kutna Hora you can see somethin like this too. 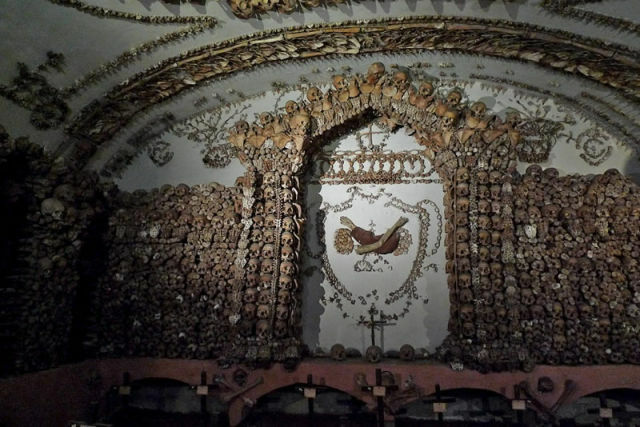 I wouldn't mind living in a home like this.